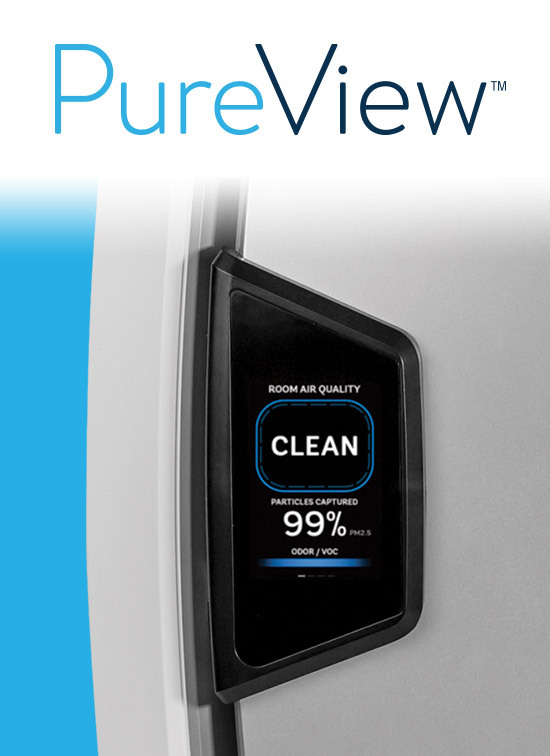 With the advent of AeraMax Professional’s new PureView™ technology, facility personnel, office managers and others in fields ranging from dental labs and manufacturing to daycare centers, health care institutions, educational centers and more can actually see these commercial-grade air purifiers working. That’s because they make the invisible—germs, bacteria, volatile organic compounds, odors, viruses and the like—visible. PureView uses an innovative EnviroSmart 2.0 technology, which employs laser PM2.5 sensors to scan and analyze a room, activating the air purification system when contaminants are present. Because each unit has a large digital display, occupants can see the cleaning progress. The display showcases when heavy pollutants are in the air with a red alert graphic. When a higher fan speed is needed, the display will indicate ‘cleaning’ and cycles through a purification process. The on-screen air quality grade (clean, fair and poor) is closely tied to US Environmental Protection Agency (EPA) and World Health Organization (WHO) recommended air quality levels. As the PureView technology continues removing particulates from the air, the display will show a readout of the percentage of particles captured, changing to a yellow graphic. When the graphic turns green, the air is clean. Also, the display offers a visual readout of VOCs and odors in the air to let occupants know the contaminants are being removed. 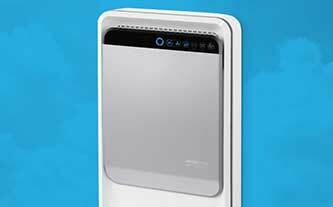 Don’t Forget IAQ in Cleaning Programs AeraMax Professional Wins Big AeraMax Professional II: An air quality solution for smaller spaces How do air purifiers work?